Hilton books Bill Margaritis; Violence in Ferguson, Missouri; Trump refuses to apologize for Megyn Kelly comments. 1. 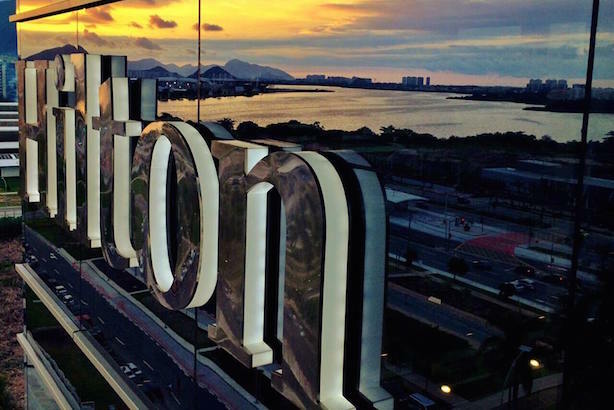 Hilton Worldwide has hired Bill Margaritis in a global role, EVP of corporate affairs. He’ll join the hospitality giant later this month. Margaritis previously served as FedEx’s top communications executive, holding the title of SVP of global communications and investor relations, before leaving the company at the end of 2012. 2. Violence took place in Ferguson, Missouri, overnight on the one-year anniversary of the death of Michael Brown after police shot a man they say opened fire on them. Protests took place across the city on the anniversary. 3. Coca-Cola is funding and providing logistical support to scientists who say sugary beverages are getting too much blame for obesity, according to The New York Times. The nonprofit Global Energy Balance Network says Americans should worry more about exercise and less about dieting. 4. Donald Trump refused to apologize over the weekend after making disparaging comments about Fox News host Megyn Kelly, who he has accused of targeting him during Thursday’s prime-time debate. An NBC News online poll finds Trump is still leading the Republican pack. 5. Tesla loses more than $4,000 on every Model S electric car sold, according to Reuters. The company cut its production targets for 2015 and 2016 last week as CEO Elon Musk says he’s looking at ways to raise additional capital.